This article is about the pre-decimal coins minted in 1797 in copper and 1818-1820 in silver. For the decimal two pence coin, see Two pence (British decimal coin). SOHO, below and to the right of Britannia. The pre-decimal twopence (2d) (/ˈtʌpəns/ or /ˈtuːpəns/) was a coin worth one one-hundred-and-twentieth of a pound sterling, or two pence. It was a short-lived denomination, only being minted in 1797 by Matthew Boulton's Soho Mint. Before Decimal Day in 1971, two hundred and forty pence equaled one pound sterling. Twelve pence made a shilling, and twenty shillings made a pound. Values less than a pound were usually written in terms of shillings and pence, e.g. forty-two pence would be three shillings and six pence (3/6), pronounced "three and six". Values of less than a shilling were simply written in terms of pence, e.g. eight pence would be 8d. These coins were made legal tender for amounts of up to one shilling by a proclamation of 26 July 1797. They were later made redundant in 1860 with the advent of bronze coinage. The minting of silver pennies for general circulation was halted by the British government in 1660, because the cost of silver had risen too high. By the late 1700s this policy had caused a deficiency in the number of circulating pennies, and many merchants and mining companies had taken to issuing their own copper tokens. For example, the Parys Mining Company on Anglesey issued huge numbers of tokens (although their acceptability was strictly limited). 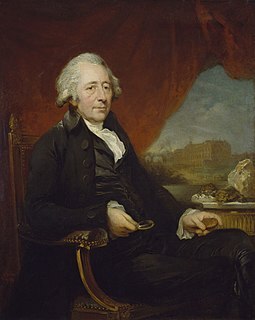 To alleviate this coin shortage, in 1797, the government authorised Matthew Boulton to strike copper pennies and twopences at his Soho Mint, in Birmingham. It was believed that the face value of a coin should correspond to the value of the material it was made from, so each coin was made from two pence worth of copper (2 ounces). This requirement means that the coins are significantly larger than the silver pennies minted previously. The large size of the coins, combined with the thick rim where the inscription was punched into the metal, led to the coins being nicknamed "cartwheels". All "cartwheel" twopences are marked with the date 1797. In total, around 720,000 twopences were minted. By 1802, the production of privately issued provincial tokens had ceased. However, in the next ten years the intrinsic value of copper rose. The return of privately minted token coinage was evident by 1811 and endemic by 1812, as more and more of the Government-issued copper coinage was melted down for trade. The Royal Mint undertook a massive recoinage programme in 1816, with large quantities of gold and silver coin being minted. To thwart the further issuance of private token coinage, in 1817 an Act of Parliament was passed which forbade the manufacture of private token coinage under very severe penalties. A short-lived twopence denomination in silver was also produced, with circulation issues in 1817, 1818 and 1820, after which silver twopence were only issued as Maundy money. In 1857, a survey by the Royal Mint found that around one-third of all copper coinage was worn or mutilated, often by advertisements. A couple of years later Thomas Graham, the Master of the Mint, convinced William Ewart Gladstone, then Chancellor of the Exchequer, that so large a part of the copper coinage must be taken out of circulation that it was worth introducing a whole new coinage which would be "much more convenient and agreeable in use". These new coins were minted in bronze, and their specifications were no longer compelled by the onerous requirement that their face value should match the value of the base metal used to make the coin. These new coins were introduced in 1860, and a year later the withdrawal of the old copper coinage began. The twopence was minted in copper, with a weight of 2 oz (56.7 g) and a diameter of 1.6 in (41 mm). The obverse features a right-facing portrait of George III, and incused into the rim are the words GEORGIUS III·D·G·REX. The initial K appears on the lowest fold of the drapery at the base of the effigy, indicating that the design is the work of the German engraver Conrad Heinrich Küchler. The reverse shows the left-facing seated figure of Britannia, with a trident held loosely in her left hand, and an olive branch in her outstretched right. There are waves about her feet, with a small ship to the left and a Union Jack shield below and to the right. Above, on the rim, is incused the word BRITANNIA, and on the rim below the image is incused the date 1797. The reverse was also designed by Kuchler. The word SOHO appears next to the shield, indicating that the coin came from the Soho Mint. ^ a b c d e f "The cartwheel penny and twopence of 1797". Royal Mint Museum. Retrieved 15 May 2014. ^ a b c d Christopher Edgar Challis (1992). A New History of the Royal Mint. Cambridge University Press. ISBN 978-0-521-24026-0. ^ "Penny". Royal Mint Museum. Retrieved 16 May 2014. ^ "Cartwheels". Living in the Past. Retrieved 17 May 2014. ^ Carson, Robert Andrew Glendinning (1962). 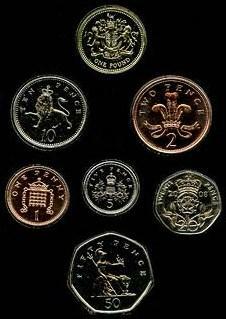 Coins of the world. Harper. p. 247. ^ Remick, Jerome (1971). The Guide Book and Catalogue of the British Commonwealth Coins. Winnipeg, Canada: Regency Coin and Stamp Co. Ltd. p. 208. Conrad Heinrich Küchler was a German engraver who from 1793 until his death worked as a designer of coinage and medals for the manufacturer and mint owner Matthew Boulton.